- Kids Plastic Trumpet Horn Wind Instrument with 3 Colored Keys. - ABS material with plating surface, compact size and lightweight. - With 3 colored keys for playing 3 different notes, easy to make melody. - Fun to play, can train children's sense of rhythm and encourage their musical intelligence. - Can be used a musical instrument model for stage performance at school. 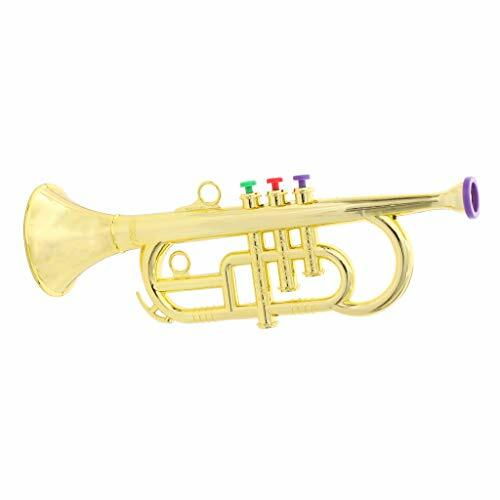 Kids Plastic Trumpet Horn Wind Instrument with 3 Colored Keys. ABS material with plating surface, compact size and lightweight. With 3 colored keys for playing 3 different notes, easy to make melody. Fun to play, can train children's sense of rhythm and encourage their musical intelligence. Can be used a musical instrument model for stage performance at school.